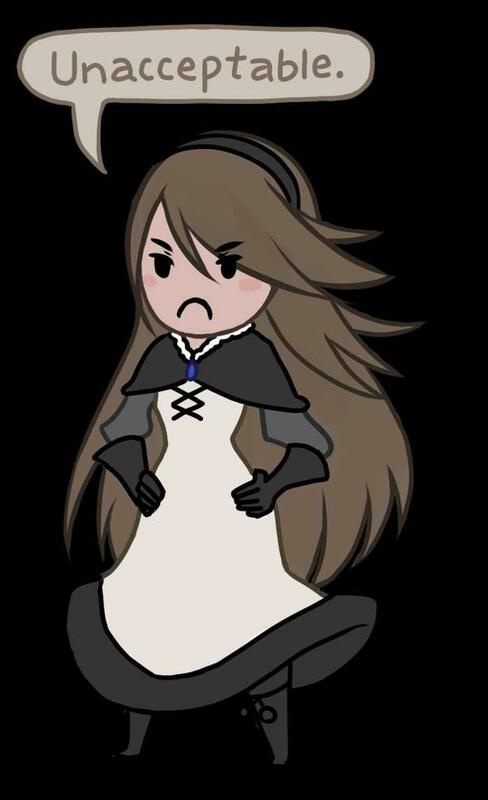 Agnes is not impressed by people who dislike Bravely Default. What are your Top 5 Favourite RPG’s? Jrpgs or any? I ask only because of the title of the thread. Grandia 2 is one of my all time favourite games. I can't wait for the Switch port. There are five RPGs in my top ten (Dark Souls, DQ VIII, Fallout 3, FF VIII & IX) but you could make a case for several other games. I haven’t played The Witcher 3 or Bloodborne, I’m planning to fix that soon. They might make my top five. I could easily pick FF VI through to X. Being so unimpressed with DQ XI recently has probably made DQ VIII’s position in my list a bit more shaky, but I did love that game at the time. I feel like Baldur’s Gate 1 & 2 deserve a shout as well, although they probably wouldn’t make it into my top five. I also haven’t played Pillars of Eternity or Divinity OS 2. The first Original Sin was fantastic. My list is impeded by being a gamer only for the last 10 years or so. Plus, I expect it to change as more classic Jrpgs find there way to the Switch. I could never really get on with the genre on home consoles (except for something short like The last Story), but, handheld I love it. I could also give a shout to Ys 8, Bravely default, oblivion and Witcher 2. @radiofloyd You have fantastic taste and I highly, highly recommend Pillars of Eternity.